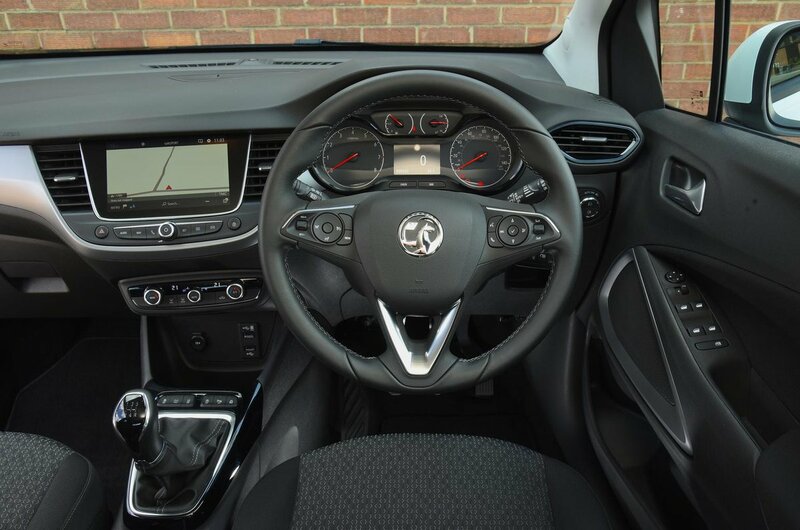 Vauxhall Crossland X Interior, Sat Nav, Dashboard | What Car? Most people will find it easy enough to get comfortable, because there’s a good range of seat and steering wheel adjustment, and the pedals and wheel are positioned in line with each other. The handbrake is awkward to use, especially with the armrest down. Unfortunately, the seat doesn’t offer a lot of lower back support, so aches and pains can set in after an hour or so of driving. Electric lumbar adjustment is available though, and we’d recommend stumping up the small premium for it. More positively, the dashboard is logically laid out, with the controls spread over three tiers. And the colour-coded rotary temperature controls are simplicity itself. 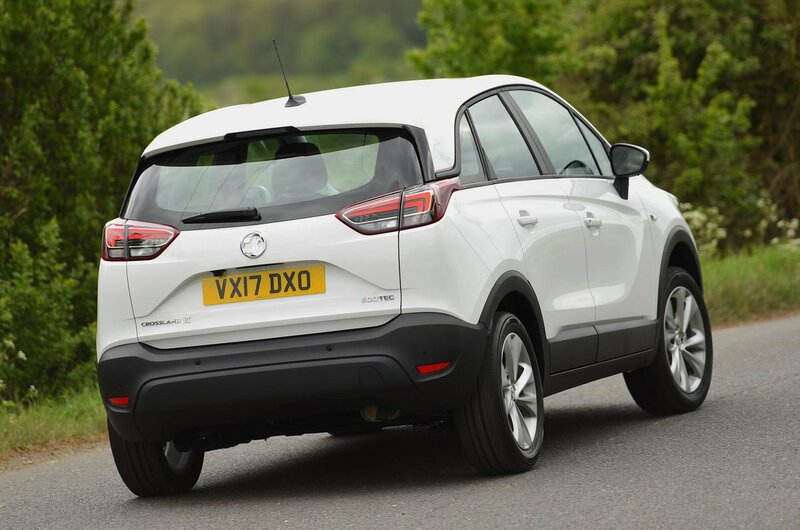 The Crossland X has many of the features SUV buyers look for, including an elevated driving position that gives good all-round visibility. Indeed, the car’s deep side windows make it easier to see out of than the Mokka X and most other rivals. That said, thick rear pillars make looking out the back slightly trickier. Although the entry-level SE model misses out on parking sensors, the Tech Line Nav trim gets them and the premium for that is less than £100. A bird’s eye view camera system is available as well, although when we tried it, the distance to close-up objects was extremely difficult to judge. Standard equipment includes a 7.0in touchscreen (8.0in on models with sat-nav) infotainment system with Bluetooth audio streaming, Apple CarPlay and Android Auto smartphone mirroring. What’s more, every Crossland X comes with Vauxhall’s OnStar for emergency response if you have a crash or breakdown plus on board wi-fi hotspot. Sounds great, doesn’t it? 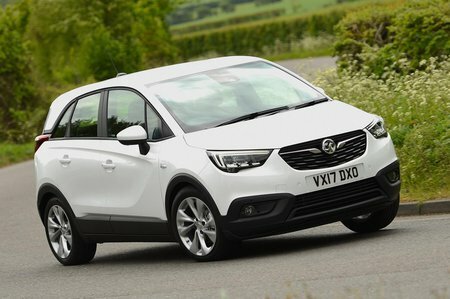 That is until you realise Vauxhall couldn’t use its own infotainment system in the Crossland X, which is pretty decent, and had to use a version of Peugeot’s instead, which is pretty iffy. The menus are slow to react, so you often find yourself stabbing away at the on-screen icons with nothing happening until a second or so later, by which time it’s registered your extra inputs and cancelled what it was you were trying to do in the first place. And try dragging any of the list functions for radio stations etc, and it’s so jerky you wonder if the system has contracted a virus. The interior of the car looks smart enough at a glance, but once you start poking at the materials, you’ll realise they’re mostly hard and unappealing. The panel containing the heating controls is particularly poor, flexing heavily when pushed. The handbrake is flimsy as well. Apart from these areas, the interior does feel solidly constructed. Saying that, it can’t match the Renault Captur, but it’s better than you’d get in many rivals such as the Suzuki Vitara.